Tonalite green is the latest fashion! While checking this year’s latest trends, this is what we found: our green is the trendiest colour of 2016. We were browsing the web in search for new trends for colours in 2016, when we came across a very interesting article about what is fashionable for clothing and interior design, and there it was: green is the most fashionable colour this year. That’s is how we found out that Tonalite is trendy too, since we always have green in our collections and we even found fabulous projects made with some of our products. WT Urban Café & Kitchen. Utrecht, Holland. 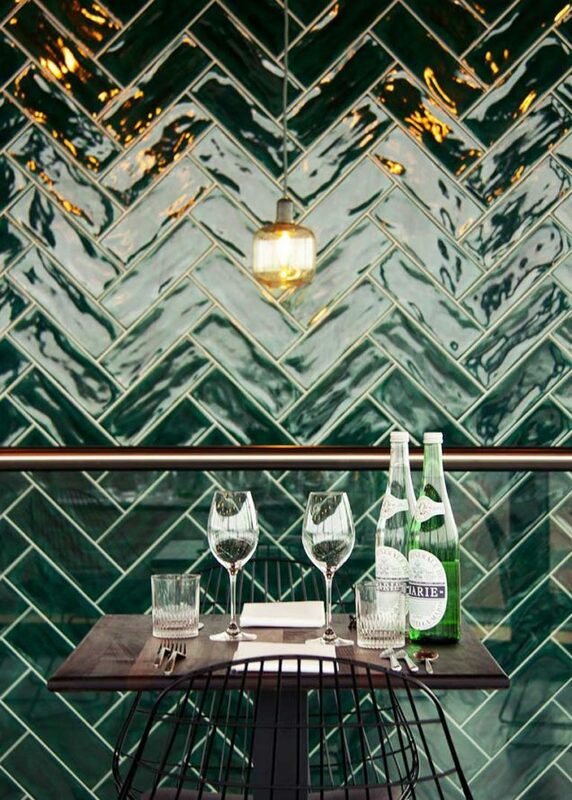 The bottle green Kraklé collection was used for this beautiful project involving an historical building, a water tower, being converted in a restaurant. Holiday home on the Baltic sea shores on AD Magazine Russia. The main idea behind this project was to convey the desired atmosphere through the use of a range of natural colours, all tied to the sea and to the surrounding environment: many nuances of green were involved, from dark green to moss-green, up to the crystalline nuances of turquoise and aqua-green. 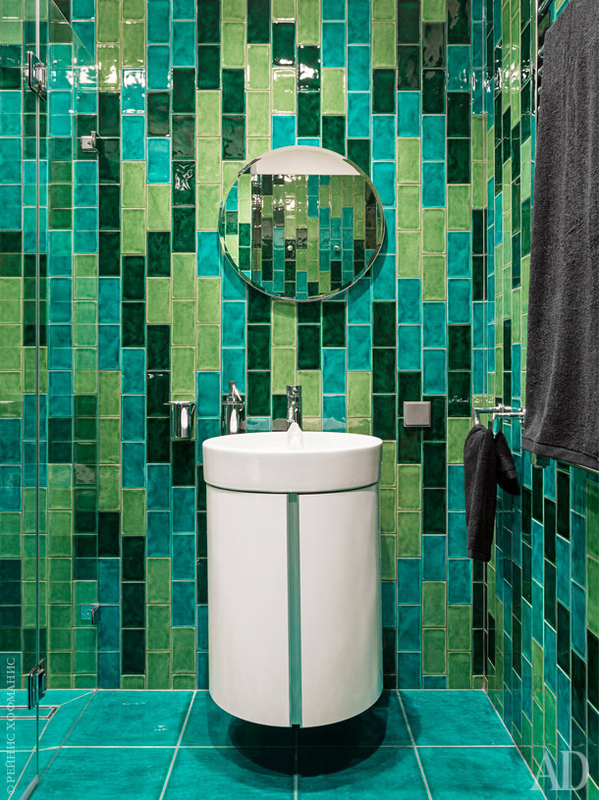 The bathroom’s walls are the most impressive, thanks to the use of our Kraklé tiles in bottle green, aqua-green e the very bright grass-green. Follow the link if you wish to discover all the different nuances of Tonalite tiles!